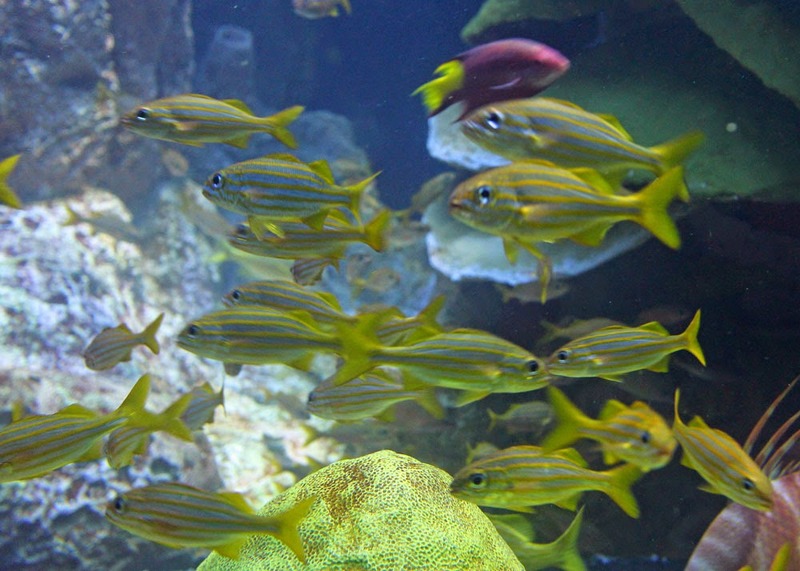 The majority of the animals in the Giant Ocean Tank collection come from Aquarium expeditions to the Bahamas. (Certified divers are welcome to join us on these expeditions where we work with Bahamian wildlife officials to sustainably bring back fish.) These animals go through an incredible journey as they travel up from the Bahamas to their new homes in Boston. But not all of animals in the GOT come from the wild and over the last year, in partnership with several institutions, close to 750 smallmouth grunts, which had been raised from eggs, arrived at aquariums all over North America—including the New England Aquarium. 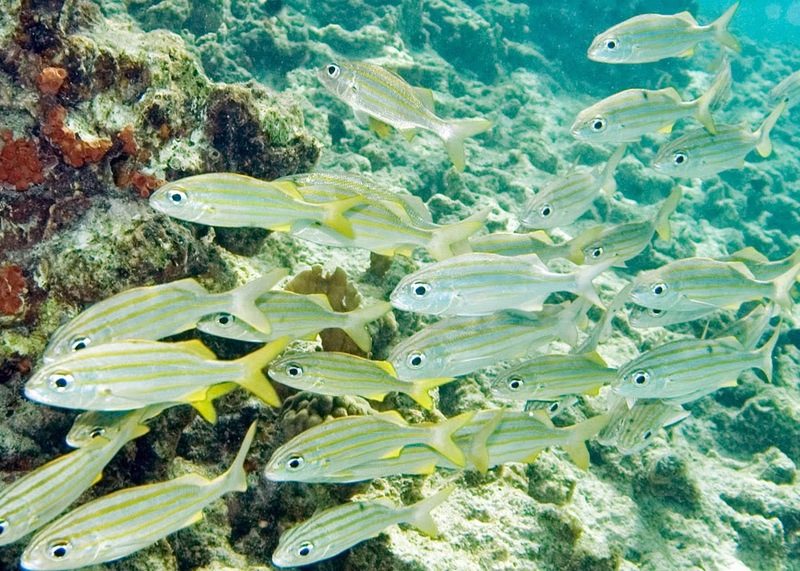 The smallmouth grunts (pictured above), along with other species of grunts, tend to school down near the bottom of the GOT. In past years, our smallmouth grunts came from the Bahamas. But these new arrivals had a totally different journey. 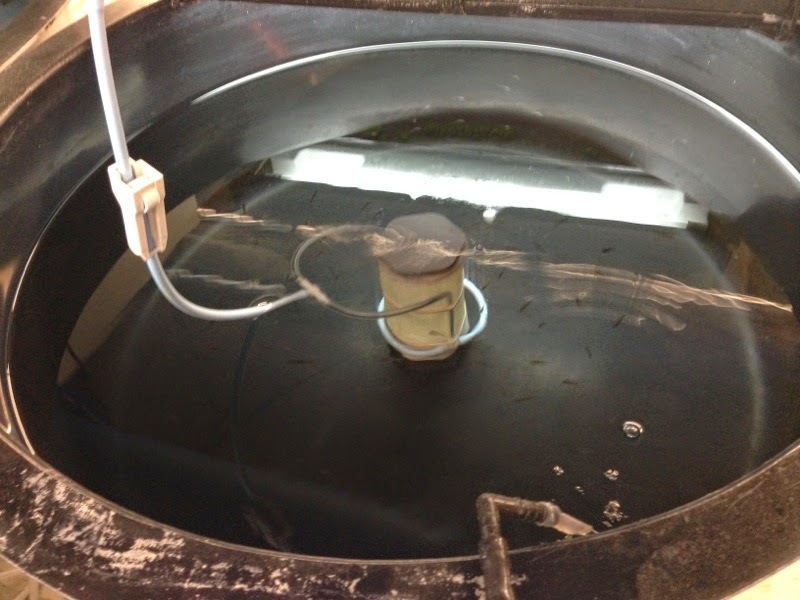 Their journey began when our larval science partner, Roger Williams University, purchased several thousand fertilized smallmouth grunt eggs from FishEye Aquaculture in Florida. 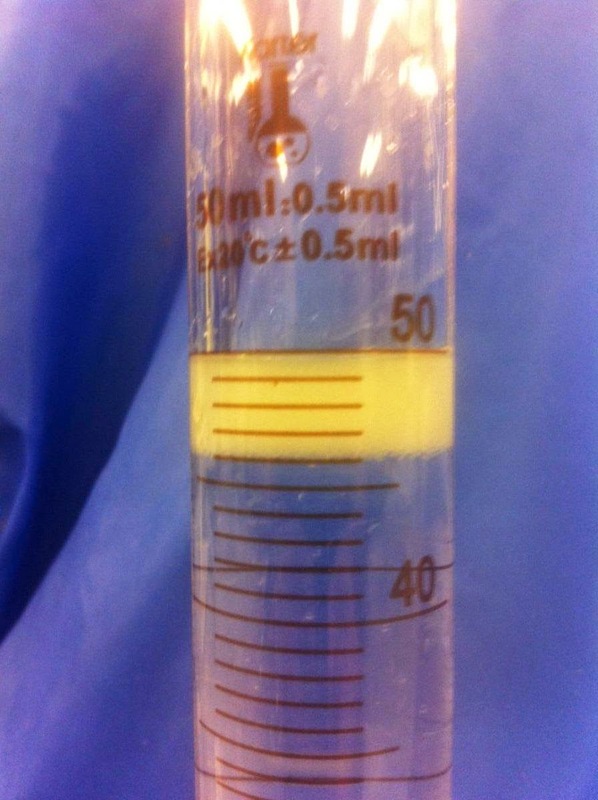 Over 6000 eggs fit in 4 mL of water! The New England Aquarium has partnered with researchers at Roger Williams University on past aquaculture projects, such as rearing queen triggerfish. This work continues our sustainable ornamental fish initiative, much of this work being funded by a grant from the Institute of Museum and Library Services. 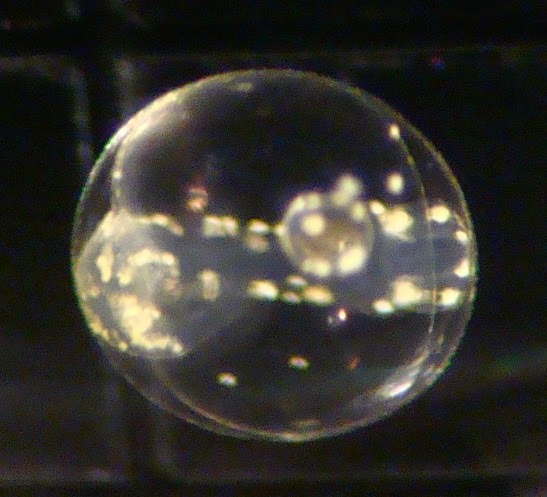 As before, these microscopic fish eggs were given expert care and hatched into larvae so small they were barely visible. 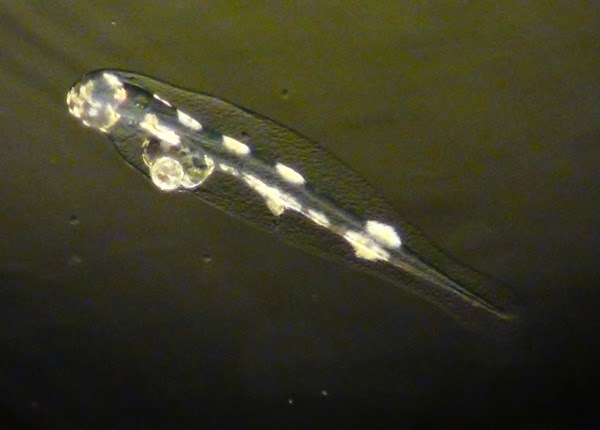 The larvae spent several months growing into tiny fish at the lab at RWU's Center for Economic and Environmental Development. Figuring out the appropriate live food that must be even tinier than the larvae is a budding science that is being carefully studied by our partners at Roger Williams. Eventually, the half-inch-long fish were transported up to our Animal Care Center in Quincy, MA. The smallmouth grunts continued to grow and were moved to larger tanks to keep them happy. After several months, they were large enough to start being shipped around the country—and north to Boston! Grunts were sent to the North Carolina Aquarium - Fort Fisher, the Albuquerque BioPark Aquarium and Ripley's Aquarium of Canada in Toronto. The remaining 500 smallmouth grunts were recently added into our Giant Ocean Tank. 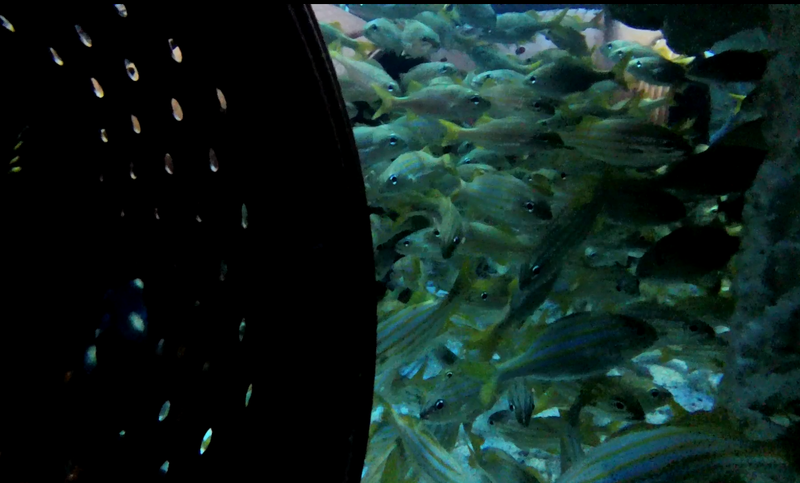 The grunts were acclimated in large barrels for a few days but now they are out and look great! Here's a video of their journey from larval fish behind the scenes to the beautiful schools in the Aquarium. These smallmouth grunts are part of our sustainable animal acquisitions. By breeding large numbers of these fish, we are able to show them in the Giant Ocean Tank in densities much closer to what a diver would see on a wild reef. By not focusing on large schools like these grunts, future Aquarium expedition teams can work on increasing the diversity of the animals we do bring back. Next time you are visiting the New England Aquarium, take a moment to appreciate the sizable school of smallmouth grunts in the Giant Ocean Tank. And be sure to ask where our animals have come from—the journey our animals go though can be quite an exciting story!